With timeless elegance, Fairfax faucets bring a graceful appeal to your bath or powder room. The sculpted ergonomic handles of this Fairfax sink faucet offer easy operation and lend a classic look to your sink. This faucet is outfitted with easy-to-install and leak-free UltraGlide(TM) valves. With their stylish sculpted silhouettes, Forte faucets complement both classic and contemporary decor. This Forte sink faucet has a sleek, arching spout, two traditional-style ergonomic lever handles, and easy-to-install and leak-free UltraGlide(TM) valves for complete water control. The spout also features an aerator, ensuring smooth and splash-free water flow. A metal pop-up drain and 1-1/4-inch tailpiece complete the set. Loure(R) widespread bathroom sink faucet with lever handles Combining a sleek profile with enhanced utility, Loure introduces a classically modern look to your bath decor. This strikingly contemporary sink faucet offers a stately design with clean, smooth lines. A pair of minimalist lever handles provide for comfortable and stylish operation. Outfitted with easy-to-install and leak-free UltraGlide(TM) valves, this Loure faucet is designed for precision and reliability as well as style. 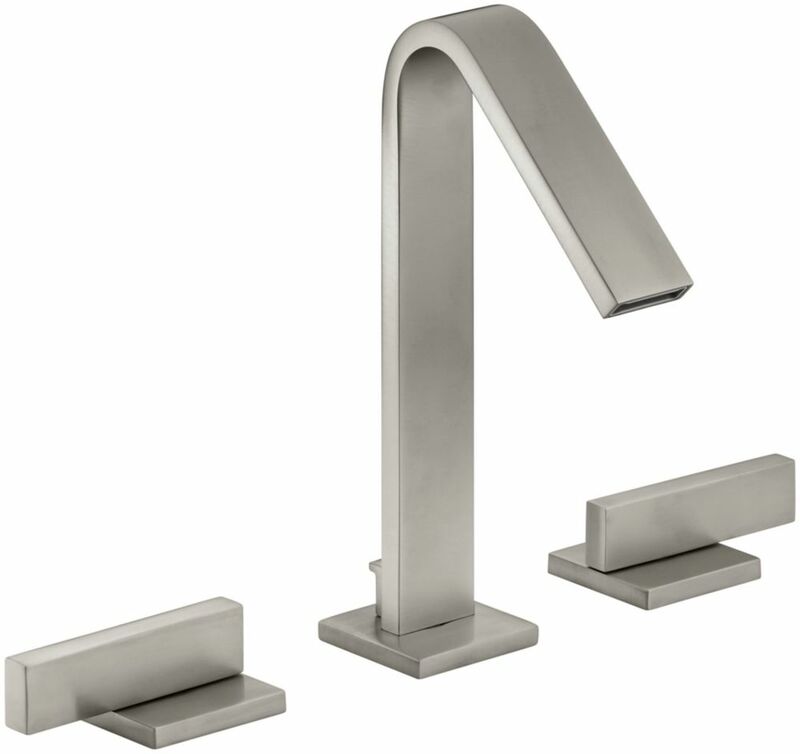 Loure(R) widespread bathroom sink faucet with lever handles is rated 5.0 out of 5 by 1.